OUTSIDE next to The Field House and Reading Terminal Market (1150 Filbert Street) and Jefferson Station. The Field House Outdoor Pavilion. 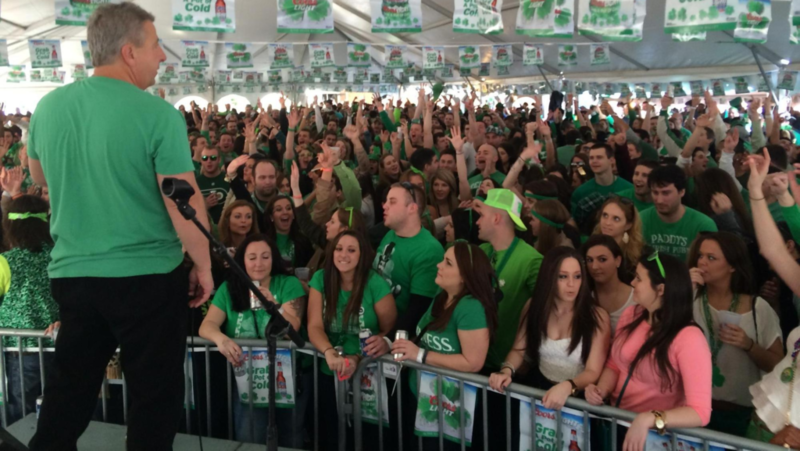 Philly’s #1 Irish Festival! Huge outdoor stage on Filbert Street. Live DJs, the Soul Cruisers, and so much more! 11am: Doors Open. Stateside Vodka and Miller Lite Specials! 2pm: The Sensational Soul Cruisers. Must be 21+. Venues, Entertainment, and Drink Specials Subject to Change. ABSOLUTELY NO REFUNDS. TICKETS ARE TRANSFERABLE.